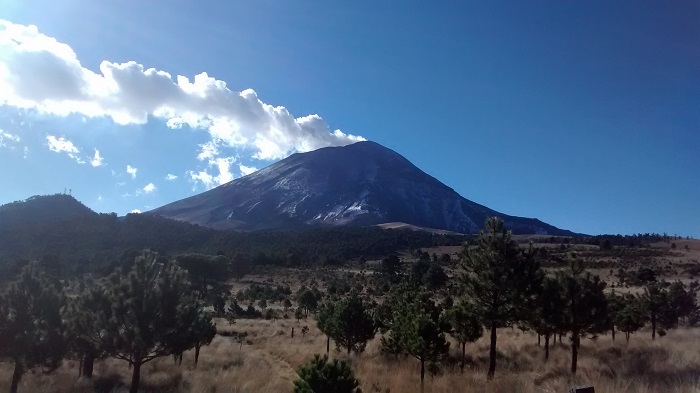 Three weeks of amazing fieldwork at two of the most active volcanoes of the world have come to an end: Popocatépetl and Colima, you have been very generous to us, both in terms of large quantities of promising samples and impressive levels of activity. 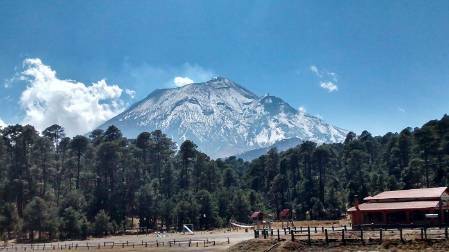 Now that we are back in London, we want to conclude this blog for the time being with some take-home impressions of our beautiful Mexican volcanoes. As scenic and contemplative these pictures may be, all the steam puff, ash clouds and fresh lava streams are a constant reminder of the immense destructive powers slumbering within these giant volcanoes, posing imminent danger to its surroundings. 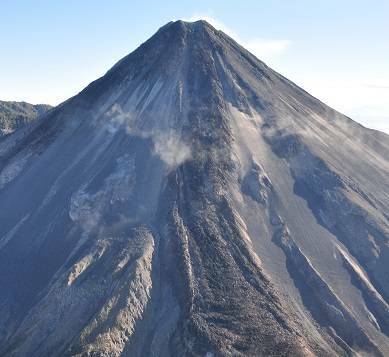 Both Popo and Colima have shown increasing levels of activity in the last months, making detailed real-time monitoring as well as fundamental studies of the underlying principles of the volcanoes’ dynamics even more pressing and important. 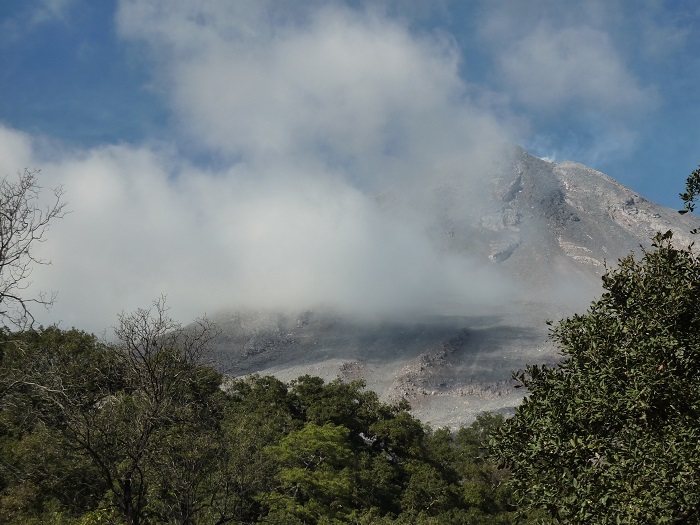 Using the samples we collected during the last three weeks, we, at the Natural History Museum and Imperial College will work hard in the future to contribute to the understanding of how Popo and Colima work. There is more fieldwork at Popo to come in the next years, and of course we will be covering these trips at this exact place again. Until then, enjoy the pictures and be sure to watch out for a forthcoming NatureLive event at the Museum’s Attenborough Studio, where we will be talking in detail about our exciting trip to Popo and Colima! Thanks for reading. Popo as seen from Paso de Cortes: The wind blows the impressive steam plume to the NE. Looking South: The mildly snow-capped Popo towers in a surreal way over the trees surrounding ‘La Cascada’ resort. A last view from our hotel in Amecameca: Popo bids farewell to us with a nice trail of steam puffs. 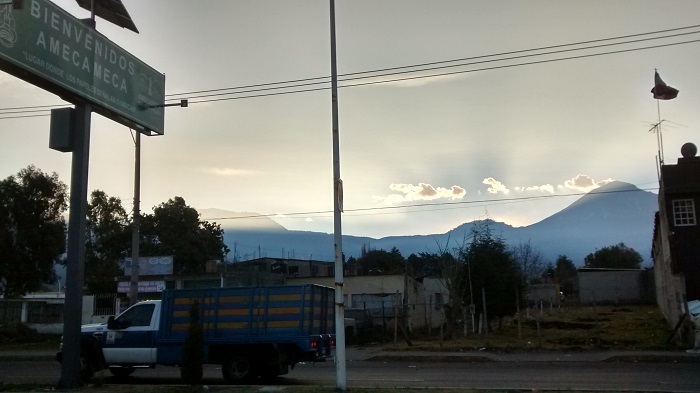 The danger within the clouds: Fuego de Colima. Even through the cloud cover, one can make out the gases that are constantly exhaled from the summit. The black lava flow in the center of this image has been emplaced during the last two years of activity of Fuego de Colima. The ‘clouds’ you can see here are actually gases coming from this lava flow, which is still hot. Twin peaks: The steaming, several hundreds of degrees hot summit area of Fuego de Colima in the foreground, and its snow-capped older sister volcano, Nevado de Colima, in the background.